Home / Medical Cannabis Guide / What Does Topical Hemp Oil Treat? When discussing treatment options available with hemp oil, one must know that there are two distinct types of hemp oil: hemp seed and hemp root. Although the two are often used interchangeably, they are separate oils that are used in separate ways. Generally speaking, when the oil is used for cosmetic purposes, it is most likely hemp seed oil. 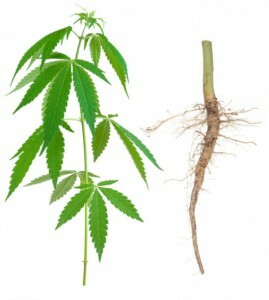 When hemp oil is used more therapeutically, the oil is likely derived from the root. Hemp oil is derived from the cannabis sativa plant. Unlike many parts of the plant, the seeds and roots contain little or no THC, which is the psychoactive element that makes people feel high after smoking or otherwise consuming the plant. Therefore, hemp oil is virtually free of THC and safe to use. Hemp seeds are loaded with vitamins and nutrients, including vitamin E antioxidants, omega-3 and omega-6 fatty acids, protein, polyunsaturated fatty acids, iron, potassium, insoluble fiber, magnesium, phosphorus, calcium, zinc and many more. Hemp root is composed of over 4,000 compounds that have been shown to have beneficial effects, including alkaloids, terpenes, phytocannabinoids, beta-caryophyllene and others. Immunity – Studies, including one involving people diagnosed with MS, have shown that hemp oil may help to boost immunity. It appears to help regulate intestinal flora that acts as a barrier against potentially harmful microbes. This makes it easier for the body to fight of illnesses. The seeds of the hemp plant, along with the essential oils they contain, also hold high amounts of soluble and insoluble fiber, which have been shown to boost immunity and help keep the natural balance of intestinal flora in check. Brain Health – Intriguingly, hemp oil contains considerable amounts of docosahexaenoic acid, which is otherwise known as DHA. This fatty acid has been shown to play a crucial role in the development of the brain and the retina. Expecting mothers are advised to boost their levels of DHA to ensure that their developing babies have enough of this crucial fatty acid. Hemp oil provides a safe, natural way to boost DHA levels. Skin Health – In some ways, hemp oil acts like a fountain of youth. It contains a three-to-one ratio of omega-6 to omega-3 fatty acids, which are most commonly derived from fish oil. Unlike fish oil, however, hemp oil contains no mercury and may therefore be safer. These fatty acids help to develop the protective layer that shields the skin from damage. By doing so, it boosts skin’s ability to retain water and enhances its elasticity, which may help to keep wrinkles at bay. Another benefit of this amazing, multi-faceted oil is that it is a natural emollient and moisturizer, making it great for your hair and nails! Cholesterol – As the only vegetable oil that contains both omega-3 and omega-6 fatty acids, hemp oil is also credited with helping to boost metabolic processes. In doing so, fats that are consumed are burned away more quickly and they are less likely to attach to artery walls. Also, the polyunsaturated fatty acid ALA is the Omega 3 responsible for the regulation of blood pressure, and studies show it can lower the BP in people suffering from hypertension. Psoriasis – Studies have suggested that psoriasis may be connected with low levels of omega-6 fatty acids in the body. Because hemp seed oil is loaded with omega-6 acids, it may help to improve the symptoms of psoriasis. When you boost levels of omega-6 fatty acids in the body, skin hydration and oxygenation are improved, which may lessen or eliminate the signs of this unpleasant chronic skin condition. The oil also contains linoleic acid, which has also been shown to improve psoriasis. 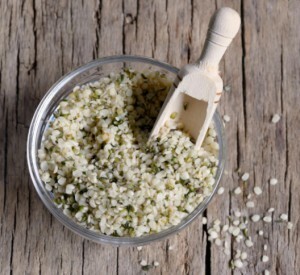 Hormonal Balance – Hemp seeds have the distinction of being the only edible seeds that contain gamma-linoleic acid. This acid is eventually converted into prostaglandin PGE1, a protective hormone that regulates hormonal balance in the body and is closely linked with menopausal health. With regular use, hemp seed oil may help to keep you on an evener keel. Varicose Veins – Everyone dreads developing unsightly varicose veins. One way to potentially ward them off is by taking hemp oil That’s because omega-3 fatty acids are known to help thin the blood, which reduces the risk of the development of varicose veins. Because it is completely safe and natural, it’s a great option to explore when trying to either prevent varicose veins or to minimize existing ones. Protein – Hemp itself is an excellent protein source and boasts all nine amino acids necessary for the human body: palmitic, stearic, oleic, vaccenic, linoleic, linolenic, arachidic, octadecatetraenoic, and eicosanoic. This makes it a great alternative protein for vegans and vegetarians. Hempseed oil is also an excellent additive to salads and other foods due to its large concentrations of essential fatty acids. Heart Health – The significantly high amounts of the antioxidative tocopherols found in the oilhelp prevent cell oxidation, which aids in slowing macular degeneration, heart disease and some cancers. Your heart will thank you. It is strange to think that with the myriad of benefits that the hemp plants provides, from the leaves to the seeds and stems and everything in-between, that we would have missed a highly therapeutic part of the plant. It seems to be the case; however, as there is not much widely-known information about the root of this wonderful plant that nature has bestowed upon us. In 1971, researchers found the roots of the hemp plant contained terpenes, which provide the fragrance for which cannabis is so widely known. Some of these terpenes, such as isoprene [C5H8], have been found to have an expectorant and humectant effect, which makes them viable for bronchial treatments. Friedelin is a terpene specific to the root of the hemp plant, and is just one of reasons hemp oils are so biochemically diverse, offering relief for many ailments. This particular terpene is analgesic, anti-inflammatory and antipyretic. If you are struggling with any of the above conditions or simply want to maintain your health as safely and naturally as possible, consider giving hemp oil a try. The oil is sold in its natural state, or you can buy it in capsule form for easier ingestion. Always follow the recommended doses on the container, and consult your doctor before beginning to use the oil just to be safe. Like most folks, you’ll probably find hemp oil to be a great addition to your daily health regimen. Researchers are discovering more and more advanced uses for hemp oil as time goes on. These truly are exciting times for those wishing for a more holistic approach to their healthcare!